Are you in need of a decent builders waste removal London? 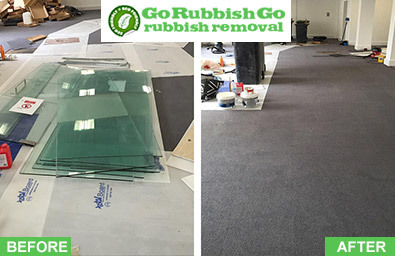 If you are then you don’t have to look elsewhere because we offer everything you need and more here at Go Rubbish Go. to meet your every need and requirement. We are one of the best and most professional builders waste removal companies in London so why don’t you give us a try and we’ll show you what we’re made of. If you have just had building work done at your home or office, there might be a load of mess and waste leftover. If you do not have the time to move it yourself, you should consider hiring a professional builders waste removal company to move it for you instead. With a professional company in London like us, we have the proper equipment to ensure it all gets moved appropriately. We also have adequate experience too so you won’t have to worry about a thing. We will take care of it all and you won’t need to have the slightest worry at all. 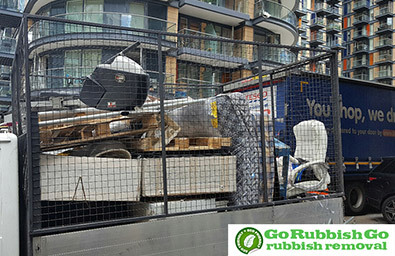 If you need waste removal, call us now on 020 8610 9182 and we will happily help you and supply you with a free quote over the phone if you need builders waste removal London. Call 020 8610 9182 right now if you want London builders waste removal services and we promise you that you will not be let down. You will love working with us as we are true professionals. Our builders waste movers London are amazing individuals and incredibly hard working so you can rely on them 100% to get the job done in next to no time. If you need our help you can count on our builders waste removal experts. Each member of the team is trained, experienced and 100% dedicated to your builders waste removal. You can rely on them for more or less anything you need and you are very much guaranteed to be more than happy with the service you receive. So do not worry about a thing. Rest your mind and let us take care of everything for you. What makes us so fantastic is that our builders waste removal services are brilliant value for money! You won’t believe what you can get for your money if you hire us for builders waste removal in London. You won’t even know that all of that rubbish had been there before because our team will clean it from head to toe and ensure every scrap has been removed and disposed of. Go Rubbish Go. has got to be the best company around for London builders waste removal. Even if you are on a budget, we are confident that our prices will be well within your budget. So get in touch whenever you can on 020 8610 9182 and we’ll provide you with a free builders waste removal quote! What more could you ask for? You will be amazed at what we offer to you. So why don’t you call us now and let us take care of your waste for you. Rubbish will be long gone once we have cleared it all away for you. You will be amazed at the fantastic value for money we offer here at our company in London. We are certainly one of the most affordable companies around and you’d be crazy not to take advantage of our builders waste removal London services! So get in contact now and let us help you with whatever you need. We work hard. We are flexible. Most of all, we want to meet all of our customers’ needs.